Established in 1982, Morris Minor Workshop, (better known for being East Sussex Minors Workshop) is regarded as the Morris Minor specialist. Based is the Sussex Countryside, close to the Kent borders, Morris Minor customers come not only from all corners of the UK, but regularly from France, Germany, Holland and all points East. A small workforce of skilled craftsmen, with between them over seventy years of working on Morris Minors, bring a wealth of experience and attention to detail to every project undertaken, from a basic service to a full rebuild. 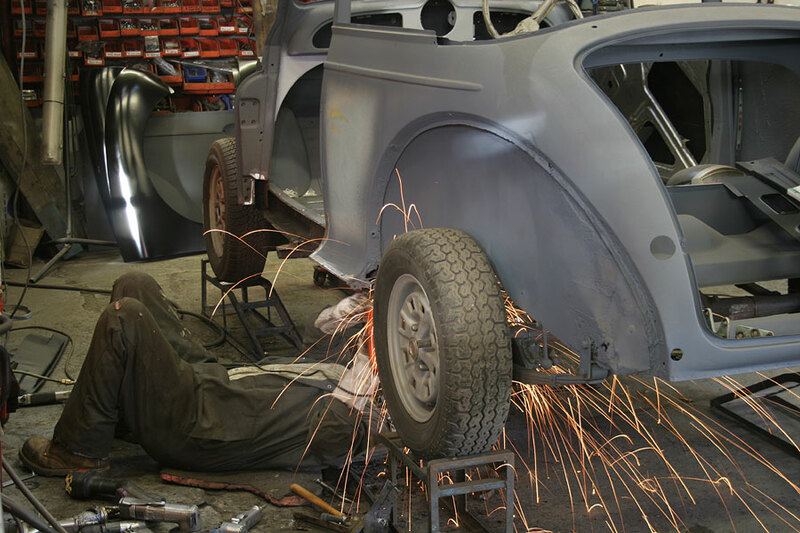 While committed to staying true to the marque, Morris Minor Workshop has earned a reputation for innovation... we regularly upgrade engines, brakes, suspension along with other modifications to help with todays driving. We regularly carry out such tasks and supply the completed components for customers to assemble or fit themselves. The following pages offer a glimpse of the range of work undertaken at the workshop, but for more detail simply call Steve on 01580 200062.